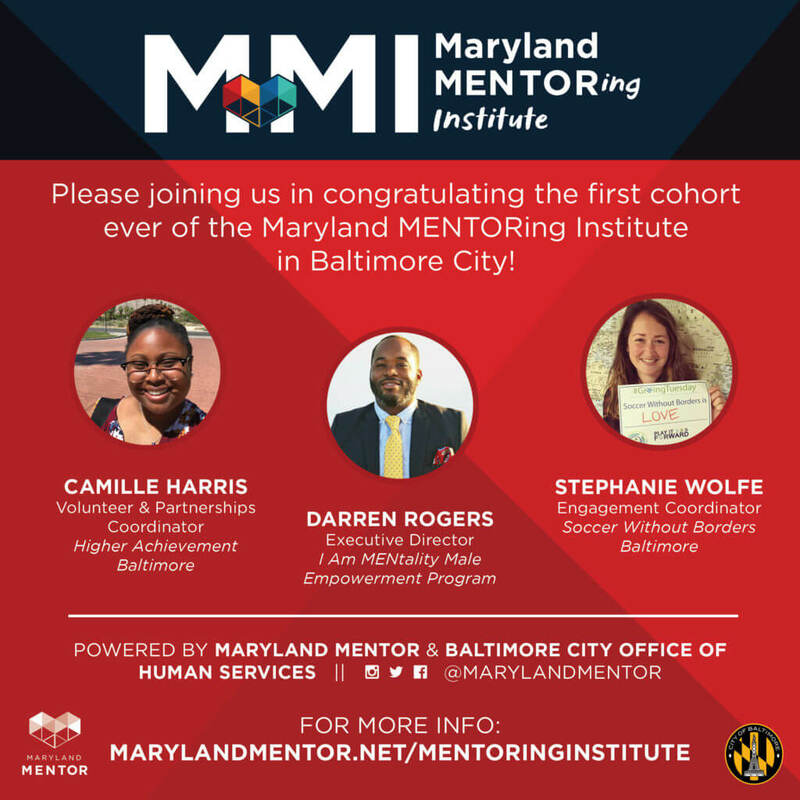 The Maryland Mentoring Institute will be a 12-week intensive, designed to provide each participating organization/leader with the tools, resources, training, and support needed to run an effective, safe, quality-focused mentoring program. Organizations will undergo a suite of 4 trainings, receive 15 hours of technical assistance, and host a mentor recruitment fair in Baltimore City. Familiarize mentoring programs in Baltimore City with the Elements of Effective Practice for Mentoring, 4th Ed. § Demonstrate an interest and willingness to incorporate quality mentoring program best practices into their organization, exemplified through the application process. § Access to Institute member-only Facebook Group. a mentoring program consultant from the Maryland MENTOR TA team. through various communication, professional development and evaluation opportunities, and the opportunity to mentor future fellows. § Mentoring. Each fellow will have individual and small group mentoring with specific support based on self-selected programmatic challenges and a mentoring consultant expert. National Mentoring Summit, program consulting, materials & more!